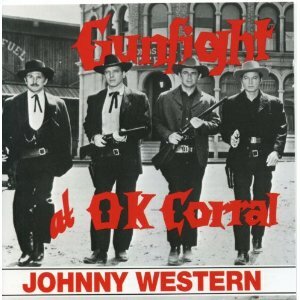 DEAR JERRY: While watching Have Gun - Will Travel, the popular TV western in the 1950s and '60s, I noticed the theme, “The Ballad of Paladin,” is sung by someone named Johnny Western. He has such a nice voice, and I am wondering if he made any records, or sang themes for other television shows. I also think Richard Boone was the perfect choice for the part of Paladin. DEAR JANICE: It stands to reason Richard Boone would be well-received in Boonville. In 1954, 20-year-old Johnny Western heeded Horace Greely's advice to “Go west young man!” He left his Minnesota home bound for Hollywood, chasing his Gene Autry-inspired dream of being a singing cowboy in the movies. Just months later, Johnny owned his own company, Film-West Productions. On January 1, 1955, Film-West announced plans to shoot a half-hour western in color, starring, and titled, Johnny Western. Unfortunately, those plans got derailed, otherwise they would have made television's first color western, four years before Bonanza (1959). Western finally got to act, on Have Gun - Will Travel. In the 35th episode, “The Return of Dr. Thackeray,” he played Steve Pauley, a short-tempered cowpoke foolish enough to challenge Paladin to a gunfight. Not a wise move, though he somehow survived and appeared uncredited in six future episodes (1962-'63). It was a busy time for Johnny, who snagged TV roles on: Boots and Saddles (1957); Gunsmoke (1958); Flight (1958); Tales of Wells Fargo (1958-'59); Pony Express (1960); and The Night Rider (1962). He even got big screen parts in The Dalton Girls (1957), and Fort Bowie (1958). Western wrote “The Ballad of Paladin,” and is heard singing what amounts to about one verse over the closing credits of all 226 episodes. Have Gun - Will Travel, the prototype intellectual western, ran on CBS for six years (September 14, 1957 - September 21, 1963). Most impressive is that a Saturday night show dominated the ratings for all but its last two years, averaging over 33% of the available audience and consistently among television's Top 3. Based on “The Ballad of Paladin,” plus his singing cowboy persona, CBS's music arm, Columbia Records, signed Johnny to a five-year (1958-1963) deal for seven singles and one LP. His first and most successful is the original single of “The Ballad of Paladin” (Columbia 41260). Its September 1958 release coincided perfectly with the second season kickoff of Have Gun - Will Travel. The Paladin tie-in continues on the B-side, “The Guns of Rio Muerto.” Here the narrative is by Richard Boone with Western handling the singing parts. Three years later, with Have Gun - Will Travel the third most-watched program — the top two also being westerns: Bonanza and Wagon Train — Johnny recorded a new version of “The Ballad of Paladin” (Columbia 42161). Accompanying John on this session was Columbia's No. 1 western music star, Marty Robbins. Strangely, Columbia waited until 1962, when viewership of Have Gun - Will Travel was dwindling (Nielsen rated No. 29), to issue Western's first album, “Have Gun, Will Travel” (CL-1788/CS-8588). Predictably, it did not sell nearly as well as it would if released circa 1958. For decades, Johnny Western traveled and performed with the Johnny Cash Show, including some of those legendary penitentiary gigs. Western also served as the Cash show's emcee. His complete body of work includes recordings before and after his years with Columbia. Among those other labels are: JOCO (1952); Philips (1964); and Hep (1967). All of John's recorded output is available on the three-CD boxed set: “Heroes and Cowboys” (Bear Family BCD-15552). For around $70, this collection provides 74 Johnny Western tracks. His only tune used as a TV series theme is “The Ballad of Paladin,” which earned him a permanent spot in the TV Theme Hall of Fame. Johnny Western still tours and performs, and is regularly heard on the radio. IZ ZAT SO? Besides the TV Theme Hall of Fame (1993), John is also enshrined in the Country Music Disc Jockey Hall of Fame (2000); Old Time Country Music Hall of Fame (2000); Western Music Association Hall of Fame (2001); Wichita Professional Broadcasters Hall of Fame (2002); Kansas Cowboy Hall of Fame (2004); and Kansas Western Swing Hall of Fame (2004). 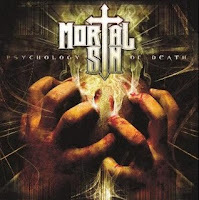 Mortal Sin Reveals New Album Title As "Psychology Of Death"
"We're currently in the studio mixing the new album with producer/engineer Darren 'jENK' Jenkins. We would also like to welcome guitarist Ryan Huthnance to the Mortal Sin ranks. 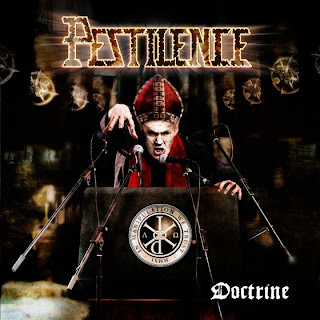 Ryan joined the band back in August 2010, replacing Mick Sultana." poke at the pope? this should raise a few eye brows! 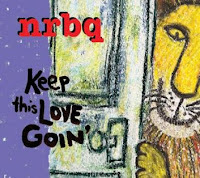 Terry Adams has reclaimed the NRBQ name for the new album Keep This Love Goin’, which is scheduled for release on July 19. In addition to Adams, the 12-track album will feature Scott Ligon, Terry Adams, Pete Donnelly, and Conrad Choucroun. The eclectic disc will include everything from material inspired by zyedco musician Wilson “Boozoo” Chavis to an adaptation of Tchaikovsky’s “Piano Concerto No. 1 in B-flat Minor” redone as a country song. The collection of live performances from around 1984 and 1985 of Neil Young with the International Harvesters showcases the sound that led the label to sue him. The recent news that country singer Tim McGraw's record company is suing him over his latest album is just the latest of many stranger-than-fiction examples of artist-label relations going south. 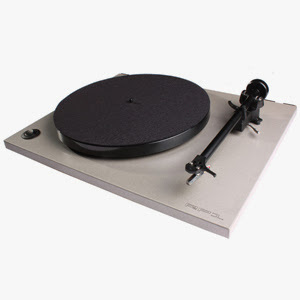 That had followed an equally surreal case from 1984, when Neil Young was sued by his label at the time, Geffen Records, for not sounding enough like himself. That's the backdrop for the release of a collection out of the Canadian rocker's archive, "A Treasure," a batch of live performances circa 1984-85 when he'd assembled a country-rock band that toured as the International Harvesters. 3. The Features - Rambo 7"
4. KORT - Please Don't Touch 7"
21. Jeff The Brotherhood - Mellow Out 7"
24. Battles - Ice Cream 12"
In 1963, 21 year old Kyu Sakamoto became the first Japanese artist to hit the top of the US singles chart with a song called "Sukiyaki". The original title of the song was "Ue O Muite Aruko", which translates "I Look Up When I Walk". Sakamoto was killed on August 12th, 1985 when JAL Flight 123, a Boeing 747, crashed and burned on a thickly wooded mountain about 60 miles northwest of Tokyo. He was 43. Jan and Dean's "Surf City" was released in 1963. The song featured Brian Wilson on backing vocals and would prove to be the duo's only US number 1 record. 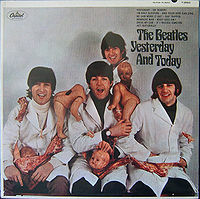 In 1966, the Beatles L.P., "Yesterday and Today" is released by Capitol with the controversial "butcher" cover, with the Beatles smiling amongst a group of decapitated baby dolls. The original photo became a huge publicity problem for Capitol and was quickly replaced by a more conventional cover. In 1967, five teenagers from Mansfield, Ohio, called The Music Explosion found themselves with a monster hit on their hands when "Little Bit O' Soul" peaked at #2 on the Hot 100. 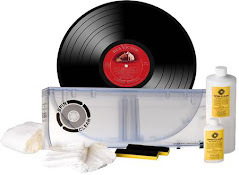 The group would be awarded a Gold Record for their efforts, but although they would release more material, none of their follow-ups reached any higher than #63. Drummer Bob Avery would later go on to the band Crazy Elephant, who reached #12 on both sides of the Atlantic with "Gimme Gimme Good Lovin'". In 1989, Nirvana's debut album Bleach was released in the US. In 1996, jazz legend Ella Fitzgerald died in Beverly Hills, California, aged 79. Already blinded by the effects of diabetes, Fitzgerald had both her legs amputated in 1993. Winner of 13 Grammy Awards, the 1956 Ella Fitzgerald Sings the Cole Porter Songboo was the first of eight Songbook sets. Appeared in the TV commercial for Memorex, where she sang a note that shattered a glass while being recorded on a Memorex cassette tape. The tape was played back and the recording also broke the glass, asking "Is it live, or is it Memorex?" In 2002, a rare autographed copy of The Beatles’ album Sgt Pepper’s Lonely Hearts Club Band sold at auction for £34,000 ($57,800), more than five times the estimated price. In 2005, Coldplay went straight to #1 on the U.S. album chart with their third album X&Y having already entered at #1 in the U.K. The last time a British artist had a simultaneous U.S. and U.K. #1 was in November 2000 with 1, a compilation of hits by The Beatles. The last studio album to reach number one on both sides of the Atlantic was Radiohead's Kid A in October 2000. X&Y went on to top over 30 global charts. TORONTO, June 15, 2011 /PRNewswire/ - Mood Entertainment, a division of leading in-store media specialist, Mood Media Corporation (TSX:MM) (LSE AIM:MM), is set to release the latest music album from singer-songwriter Jewel on August 16, 2011. The new album, a collection of original and classic children's songs titled "The Merry Goes 'Round," is her second production with Mood Entertainment. Jewel's successful debut in the category, "Lullaby," was released as part of Mood Media's Fisher-Price Music Series in early 2009. 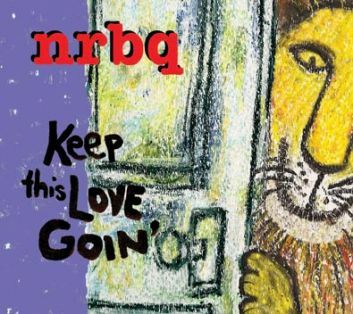 The album's first single, "Somewhere Over the Rainbow," reached #1 on The Top Children's Songs chart the week of its release. Ken Cross, President of Mood Entertainment, said "We're thrilled to be working again with such a talented artist on what's sure to be another hit." The versatile singer-songwriter, actress and poet has sold more than 27 million albums worldwide, has seven Billboard Hot 100 hits, a bestselling poetry collection and a new television show on Bravo. The inspiration for her collection of children's songs is very close to home as she's expecting her first child this summer. Jewel has been keeping her fans up-to-date on the new album's progress online at www.jeweljk.com and via Twitter (http://twitter.com/jeweljk). "By pairing Jewel with Fisher-Price, and using our retail distribution network, we're creating a market for a fantastic collection of songs that might not have gotten that opportunity in the traditional system," said Lorne Abony, CEO and Chairman of Mood Media Corporation. "This is a proven approach, and we have more partnerships like this in the pipeline."